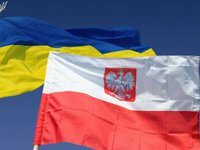 Ukrainian Foreign Minister Pavlo Klimkin and his Polish counterpart Jacek Czaputowicz have discussed the possibility of expanding the joint customs and border control at the Ukrainian-Polish border from four to eight checkpoints. "The border is a question that personally hurts me personally when I see queues of Ukrainians and Poles at the border. So far, the border divides us, not unites. And we need to give a green light to our joint efforts so that this border unites us," Klimkin said during a joint press conference. The parties discussed the possibility of expanding the number of joint customs and border control points from four to eight. The Ukrainian minister also noted the importance of updating the border infrastructure, including access roads. Klimkin also said he hoped for the arrival of Polish investments in the country's economy.